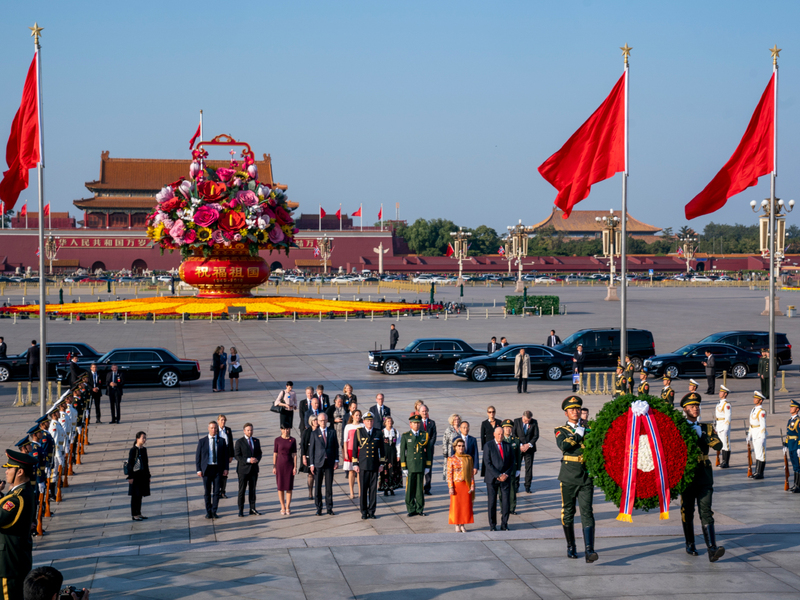 Their Majesties The King and Queen are visiting the People's Republic of China at the invitation of His Excellency President Xi Jinping. 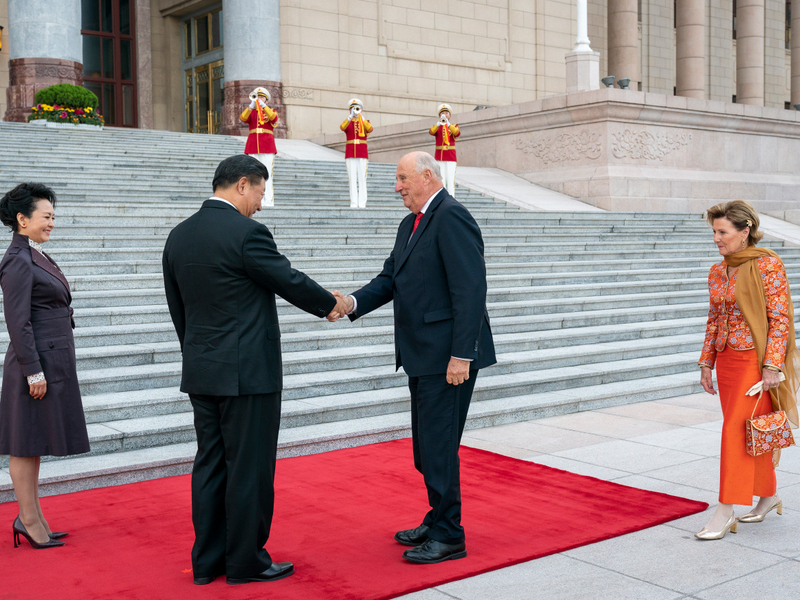 Today they were welcomed in a formal ceremony outside the Great Hall of the People located in Tiananmen Square. 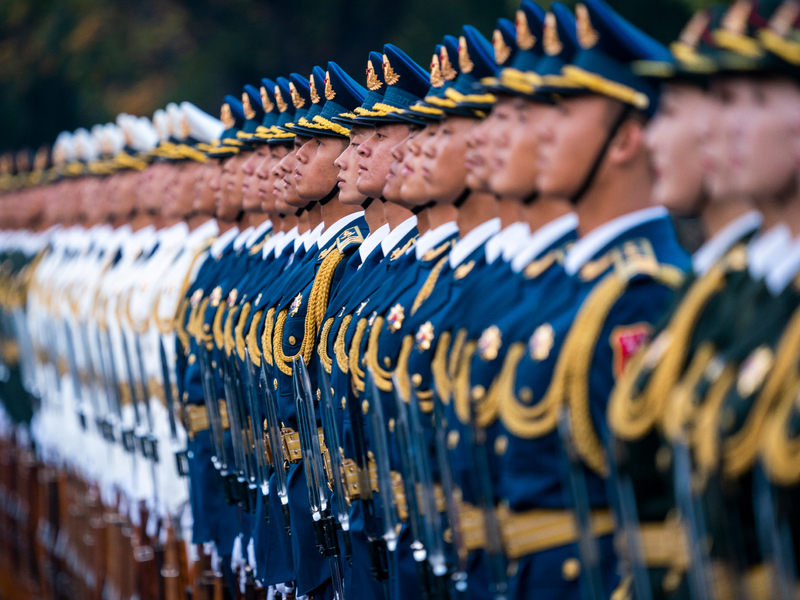 A Guard of Honour from the Chinese People’s Liberation Army formed the backdrop for the ceremony in which the King and Queen were welcomed by President Xi Jinping and First Lady Peng Liyuan. Both countries’ national anthems were played, and then King Harald inspected the Guard of Honour, accompanied by the President. 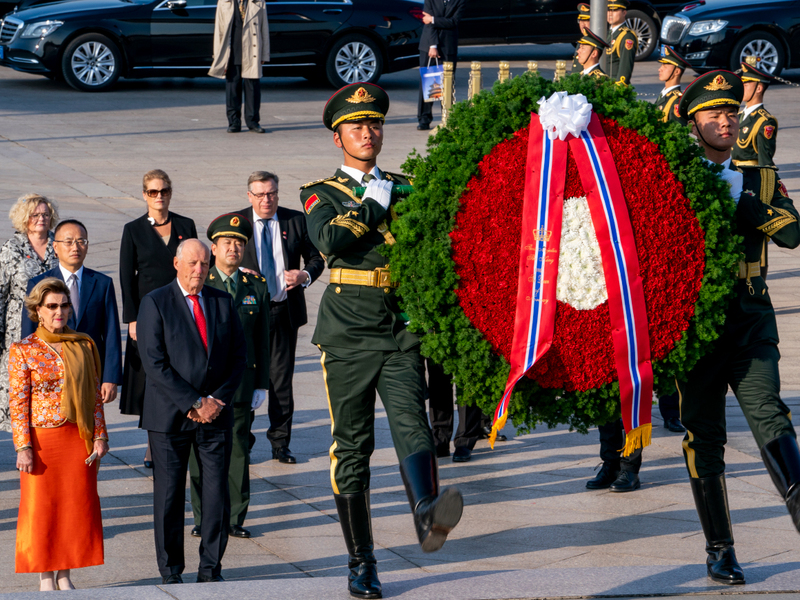 The King and Queen laid a wreath at the Monument to the People's Heroes. Photo: Heiko Junge, NTB scanpix. 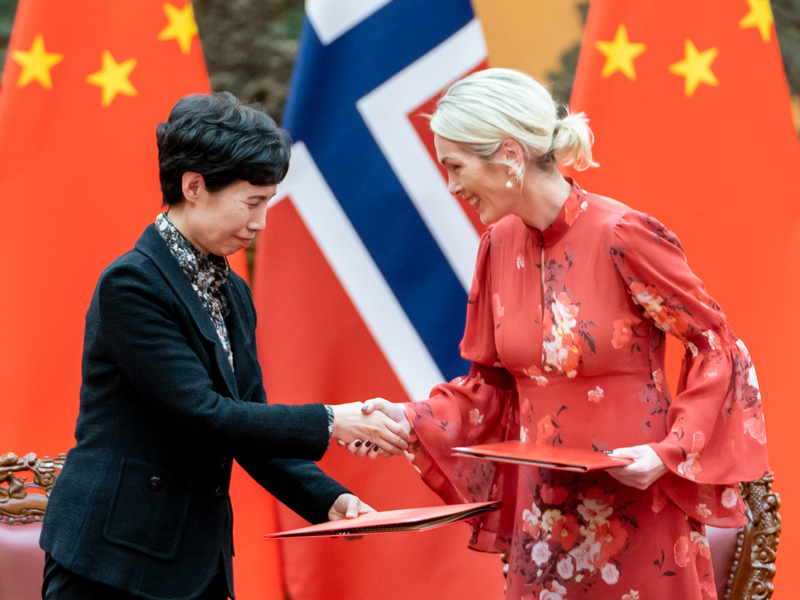 After the ceremony, the two countries’ delegations, led by President Xi Jinping and King Harald, engaged in talks and signed three major agreements between Norway and China. 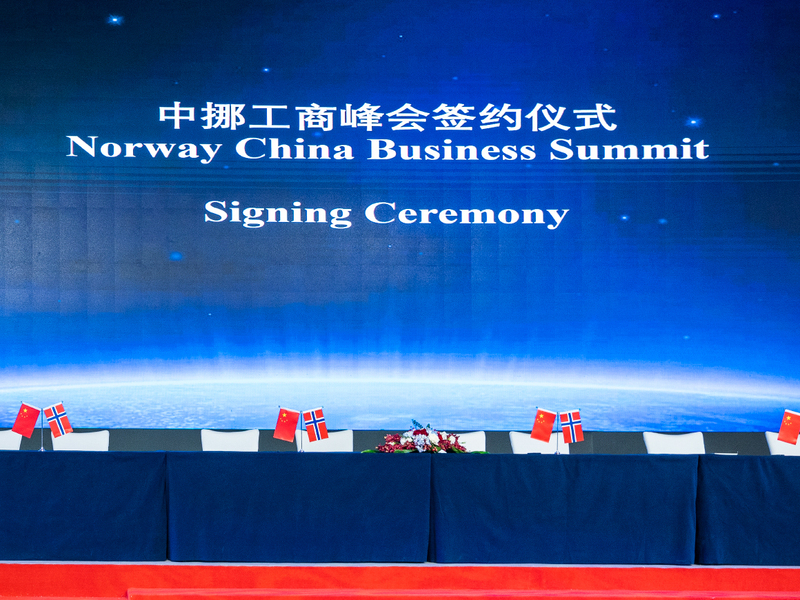 The agreements involve cooperation on research and innovation, trade and industry, and sports. The King and Queen are always accompanied by a large delegation of representatives of Norwegian government administration, culture, research, and trade and industry when they conduct a State Visit. On this trip to China, the business delegation accompanying the King and Queen is the largest ever. 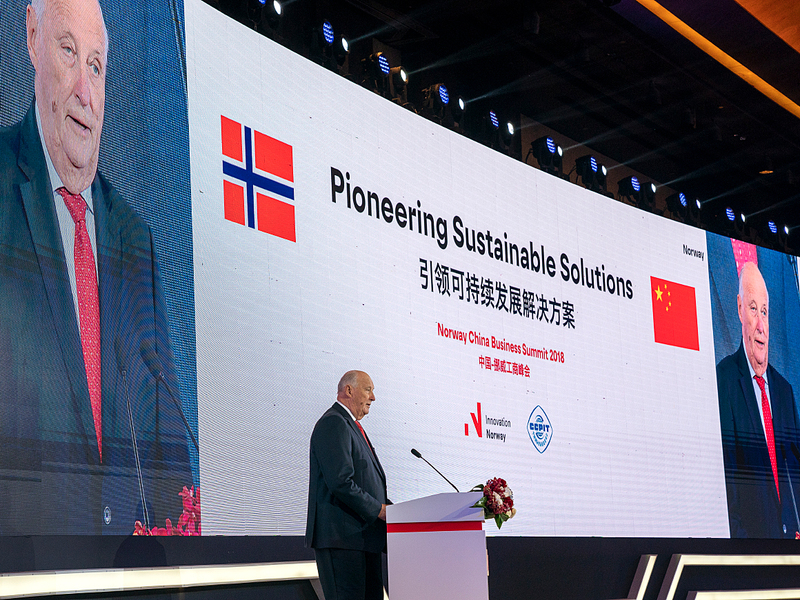 Over 300 representatives of Norwegian companies are taking part in a wide array of meetings with Chinese customers, suppliers and partners. - As we expand our trade and technological cooperation into new areas, such as medical, welfare and environmental technologies, we must learn from each other’s challenges and successes. Our economic relations are thus about far more than just business. They also create a room for political dialogue, cooperation in the field of education, and important scientific networks. A total of 24 partnership agreements were signed at today’s convention. 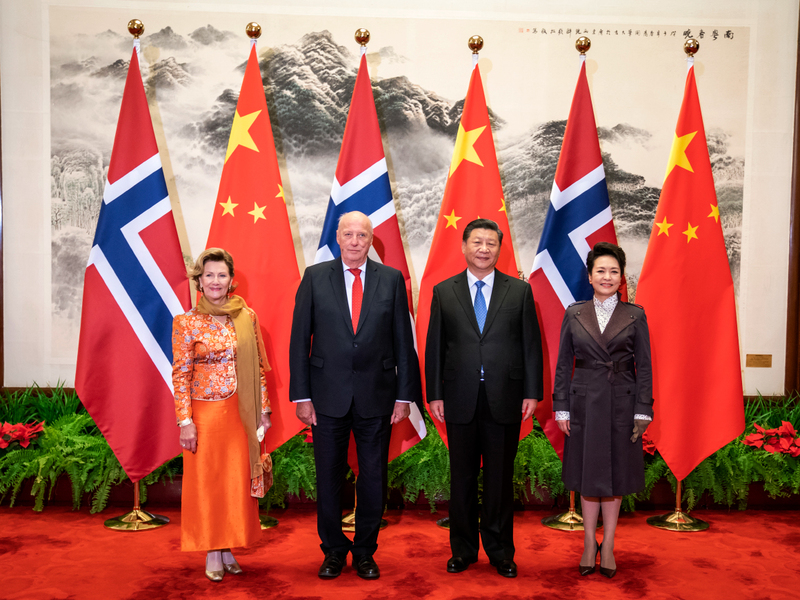 King Harald and Queen Sonja were also in attendance at the launch of the new Chinese-language edition of Edvard Munch: Complete Paintings. 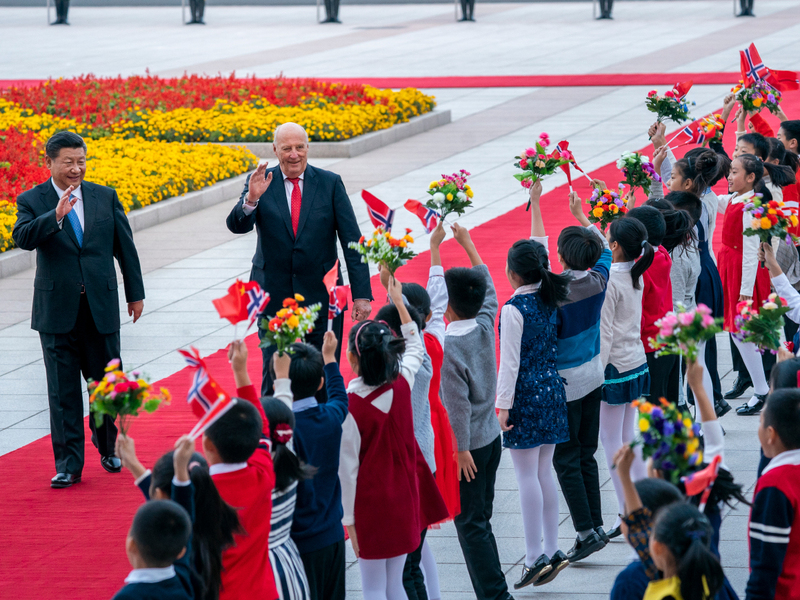 The launch was an extension of a cultural luncheon held at the Residence of the Norwegian Ambassador in Beijing. Munch’s art is presented in four volumes, and the publication is part of the effort leading up to a large-scale exhibition of Munch’s works at the National Museum in Beijing and Shanghai Museum next autumn. Wang Chunfa, Director of the National Museum in Beijing, and Stein Olav Henriksen, Director of the Munch Museum, unveil the four-volume collection. Photo: Heiko Junge / NTB scanpix. The National Museum in Beijing is one of the world’s largest museums, with over eight million visitors in 2017. The Munch exhibition will feature roughly 100 works from the Munch Museum collection, including 50 to 60 paintings. It will be the fourth time Edvard Munch’s works have been displayed in China – the first was in 1961. 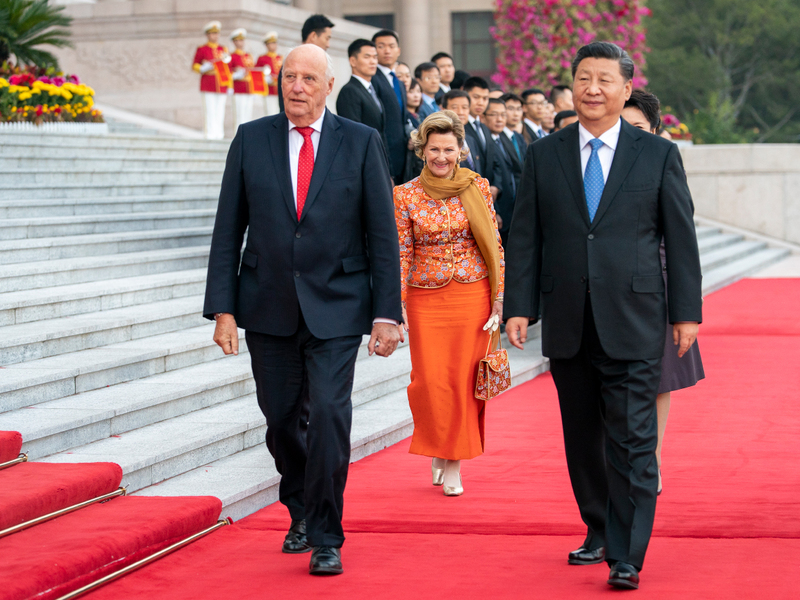 This evening the King and Queen will be the guests of the President and First Lady at a banquet held in the Great Hall of the People. Tomorrow the King and Queen will continue their journey. They will leave Beijing and travel to Shanghai, where the final segment of the State Visit will take place.